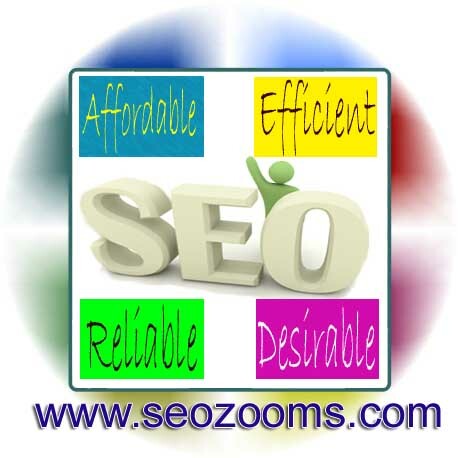 Identification of potential keywords for your search engine optimization is very easy. Get some tips identifying potential keywords that could potentially drive traffic and sales. If you can logically use all of the keyword tools provided by various websites, it is very easy and helpful in bringing potential customers to your website. Most of the keyword tools provides result for your keyword research. It is based on the historical data details connected with their data base records. Normally there are many hypothetical meanings. If you consider a keyword “SEO Company in India” and check it Google keyword planner. Then you can find its search volume, demand, search trends etc in the results. If you check the volume of results available in Google cache data base, that showing just before search results in Google like About 1,24,00,000 results. It means Google is showing top 10 results identified from about 1,24,00,000 results available in their data base. Even if you conduct a customized search for results of last one hour for the keyword “SEO Company in India”, you can find at least 50-100 results showing in Google. That are identified, crawled, cached and listed by Google related to the keyword “SEO Company in India”. If you estimate the number of SEO companies in India which is looking for same keywords, and their practice of SERP checking, periodical report making of its supporting staff, cross checking of team leaders, project managers, company owners what will be the search volume. Don’t forget that all these numbers of searches are coming in the number of search volume for that keyword found in the Google keyword planner. So if you logically research, your findings of the keyword search volume using these keywords can never help you in a helpful manner. So how you can find few potential keywords easily. I can share some idea here. First use maximum keyword tools available in internet. Using tools such as Google keyword planner, SEM rush, rank pay, word stream etc can definitely help you. Prepare different spread sheet using these keywords. Compare the results of various customized keyword researches based on time, location etc. Mark and identify keywords logically. Check the CPC cost value of keywords, (Google Adwords cost per click value – Bid value) if the cost value shows high, definitely there will be business conversion possibilities. Then make a clear list of keywords. Copy each keyword and do a Google search. If Google adds are showing in the results. You can lock the searched keyword as useful one. Secondly, if Google shows related keywords with their search results, you can identify similar keywords which are useful similarity like the keywords you have selected. But double check that your client website project provides such services or sells same products and services. The Forum of Communications and Society (FOCAS) meet 20014 during 10th to 13th August 2014 will be held at Aspen Institute, Colorado. The main discussion areas will be connected with quick changing pace of technology and its impacting challenges connected with various business sectors and Government. The forum will discuss more on strengthening the internet with free expression and new innovations connected with internet security, policy matters connected with privacy and openness etc. The forum will discuss on various internet policies related to expressive mode of reconstructive general recommendations consumer options, financial security collection methods of direct options for America’s internet policies etc. Google’s web spam team head Matt Cutts have announced in his twitter that he will be participating the conference which is going to be held for open internet protection.